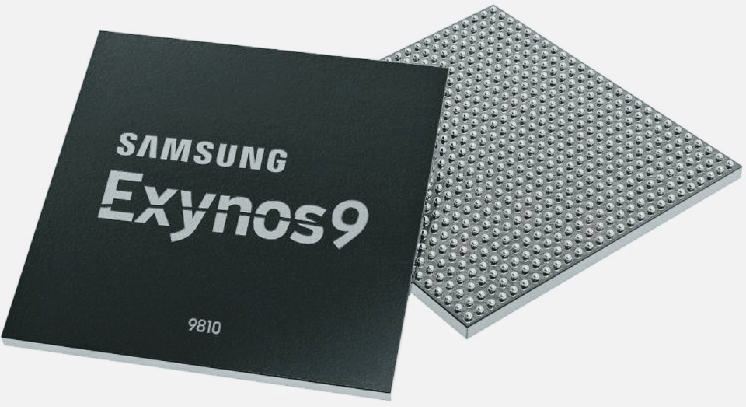 As we know Samsung launched its high-end Exynos 9 Series 9810 chipset. This is the great news which we heard by Samsung this year and this is the upgraded version of last year’s 8895 SoC. This chipset will be powering the Samsung’s next generation high end smartphones like Galaxy S9, S9+ and Galaxy Note 9 phablet. The processor is now ready to handle complex structure of Artificial Intelligence apps which is going to be next big thing in tech industry. Firstly it will power up high end smartphones & tablets and later it will be introduced on Samsung mid range smartphones like Galaxy J & A series. The Exynos 9810 comes with sophisticated features for user’s experience with deep learning based software. It is built on 2nd generation 10nm FinFET process. It contains 3rd generation custom CPU upgraded with wider pipelines and optimized cache memory. The Exynos 9810 built to deliver a powerful performance with less power results in huge battery saving. This advanced hardware is designed with concept of secure and non-secure worlds growth of security based mobile experiences as like Biometric authentications, UHD DRM, Payment and etc. The Exynos 9810 has LTE modem and it supports category 18 with 6CA for downlink and 2CA for uplink speed up to 1.2Gbps and 200Mbps respectively. The Exynos 9810 features latest ARM Mail-G72 GPU so you can see more realistic graphics. The GPU is built on ARM’s 2nd generation that is Bifrost architecture. This hardware contains a dual-ISP (image signal processor) to support up to 4 image sensors such as dual camera in the rear with camera and iris sensor in the front. The Exynos 9810 is really a very big surprise to everyone and its features are also satisfyingly good. It promises better optimization in speed as well as battery saving. This year we might see many Samsung devices running on this new chipset. This Exynos 9810 is launched now so you can enjoy every feature of it. The scheduled date for Samsung Galaxy S9 & S9+ is February so there are lots of chances these will be the first devices to run on Exynos 9810. This processor is really an advanced chipset but we need to see what real number says about it when we actually use it. Share with Samsung and Tizen – How do you now offer the opportunity to use android apps? Because ACL for tizen app is not available in tizen store. As a result, android apps can not be used. ACL for tizen app without needing to use the tizen phone and not see the need.